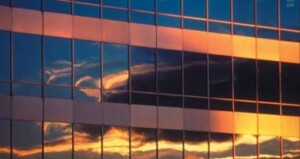 Enerlgic, Llumar, and Vista are the window films that Dallas Window Film installs. These films are the best available window films on the market and we are proud to install them. When it comes to window film, we have something for everyone. 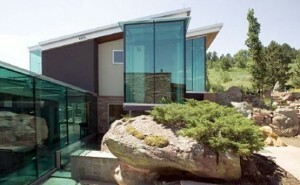 Energy efficient window film is one of the most well known window films. This type of window film helps lower your energy costs by blocking heat from entering your home. Security window film is designed to add protection to your windows by preventing them from shattering. UV Fade protection window film offers your floors and furniture protection from the suns harmful UV rays. Glare reduction window film reduces glare from the sun, eliminating the need to close your blinds to watch TV or work on your computer. Saving money on your energy bills has never been easier with energy saving window film. In addition you can also protect your floors and furniture from fading in the sun with UV protective window films. Large commercial windows offer beautiful natural light, however they also allow large amounts of heat to enter the building, causing increased energy costs. During the winter these same windows allow heat to escape, causing heating costs to spiral out of control. Commercial windows are often large and oversized to provide natural light. This is great for lighting purposes, but causes major energy efficiency issues during the summer. On cold winter days, heat is lost through these same windows, making it near impossible to maintain a comfortable temperature. If you would like to learn more about window film, contact us today.